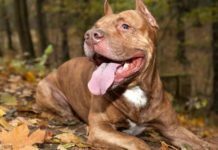 How To Teach your Pit Bull to Come to You? 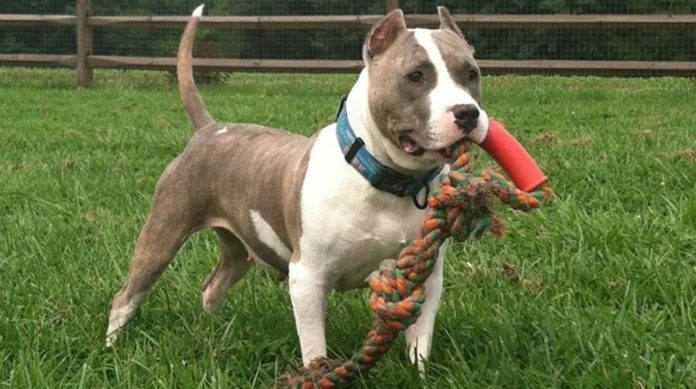 How training my dog to come when called saved her life and why every dog owner should teach their dog to come to them when called! I’ll always remember the day my dog Angel was almost killed. We were at the local park that we visit everyday. No one is ever around and this day wasn’t any different. Not a soul to be found anywhere. Angel and I were playing ball and the gate to the baseball field had opened, I’m assuming it wasn’t shut securely and it opened cause of the wind. I’ll admit, I wasn’t watching as closely as I should have cause some kids off in the distance caught my attention. When I turned around my girl was just a white dot running towards the street. Just as I yelled out, “Angel, Come!” a car drove directly in front of her. Had she not been trained to come when called I have little doubt I would have lost her that day. I learned two lessons from this event. 2. 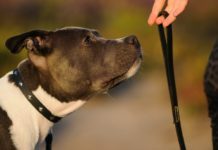 Training your dog to come when called is the most important command they will ever learn. I felt horrible for weeks because of my stupidity. My friends were shocked to hear of this story, mostly because Angel was nearly run over by a car but they were extremely disappointed about me not paying more attention. It goes without saying I was extremely disappointed in myself too. Before you begin training there here are some important keys to remember which will help you train a reliable recall. I’ve listed them below and we’ll go over them one by one afterwards. Your living room or some other quiet room in your house would be great. With new behaviours it’s best to start without any distractions. This way you can keep your dogs attention. Many people make the mistake of training where distractions hurt their efforts. As time goes by sometimes they even start to blame their dogs or the training methods for the lack of success. When in reality it is the distractions that are causing the slow progress. Make sure there are absolutely no distractions when you begin. Using a unique word will help keep your dog focused. By using a unique word you are less likely to confuse your dog. I also like using a unique word because it’s fun and different. Choose a word and stick to it. Avoid putting other words with your unique word. I made the mistake when I began training my dog Angel the recall. When she didn’t come to me when I called her I added, “NOW!” to my chosen word. End result? She started coming to the word “now” instead. Ironically, I trained her very well doing that. I got lucky I suspect, so remember to use the same word and avoid putting any other words with it. Use a high value reward. If you make it worth coming to you, your dog will do just that. If you didn’t know already I have two dogs. Angel and Honey. What’s interesting about having two dogs is they both have different motivators. Angel is a ball crazed lunatic and Honey is a tug-of-war champion. Teaching the recall to Angel was quite easy, show her a ball and say my unique word! Presto. Honey, I showed her the tug, and said my unique word! 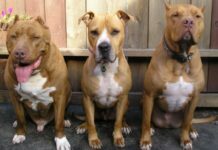 Training the behaviour was a lot easier because I knew what motivated my dogs. 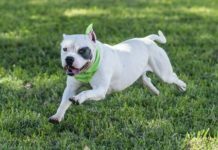 Find out what motivates your dog and use it to make the training process fun and exciting for them. Imagine your dog loves a certain treat, use that to help motivate them. Or maybe they are like my dog Angel and are ball crazy. You can use that to motivate and reward them for a job well done too. You should use a reward your dog will consider the greatest reward on earth! Never call your dog to punish them. This is extremely important. Think about when you were a small child and your Mom would call you over after you did something you weren’t supposed to. You’d get a spanking. After a while you learned to recognize your mom’s “come here I’m going to spank you” voice. Did you eagerly walk over and take it on the rear? Your dog will eventually make the same association between being called and being punished. Once this happens you will have to start from the beginning again. Avoid this problem by never calling them and then punishing them. On a side note: This is one of the most common mistakes people make when training this behaviour themselves. Once you break the trust between you and your dog it take a while to earn it back. If you have already made this mistake. I would suggest you choose a different unique word and starting over from the beginning. Consistent work and reward will result in a reliable recall. What most people don’t realize training is a life long process with your dog. You can’t teach them how to sit and expect them to know it forever if they are never asked to sit again. Repetition is very important. Teaching your dog to come when called is the most important lesson they will ever learn. 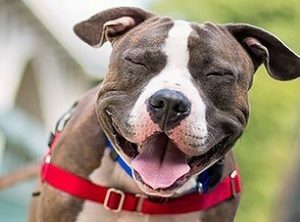 I ask you, as a fellow lover of the American Pit Bull Terrier, to take this training seriously and treat it with the respect it deserves. 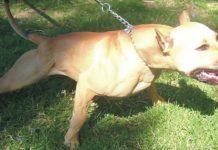 American Pit Bull Terrier Training – How do I add muscle to my Pit Bull? 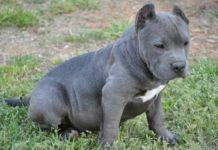 When Should I Start Training My Pit Bull Puppy?